Monday morning at 8:00 AM on "Seize the Day!" I will be chatting with Gus Lloyd tomorrow morning on "Seize the Day" Sirius Radio at 8:00 AM Eastern time. I hope you can tune in. Tea With Donna-Marie: "It's especially hard to hear about children being...: "Hi Donna-Marie, What are the virtues that would help against worry? We hear so much bad news constantly it can sometimes be overwhelm..."
OSV Daily Take Blog: Confession: There's an app for that: "Posted by Mary DeTurris Poust Perhaps the one place you thought technology couldn't go was into the confessional. Guess again. Now there's ..."
Tea With Donna-Marie: A Cup of Tea and a Prayer: "Is it a stressful day for some reason? Put the kettle on, take a breath, say a prayer, and make a cup of tea! Kids home? Snow day? Running ..."
"Meeting the Challenges of the Culture: A Catholic Woman's Perspective"
"It moved her to tears..."
"Every Wednesday night, I gather with a small group of mothers, and we talk about ways to grow in holiness through our vocation as well as swap practical tips on dealing with everyday crosses. One of us shared that she finds it hard to pray a full rosary. 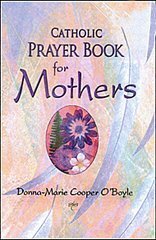 The next morning, I opened your book: Catholic Prayer Book For Mothers to the prayer about praying the rosary one decade at a time! I emailed it to the her (as well as the rest of the group) and she said it moved her to tears. She felt that it captured her life exactly - that someone understands - and found peace knowing that it's okay to split it [the Rosary] up. From all of us, thank you! :)"
Thank you very much, Jenny, for sharing. I am so happy that Our Lord touched your friend's heart through the words of my prayer. God bless you and your group! And pray a decade of the Rosary. As I recite the second decade. For the next ten beads of the next decade. To kneel together for family prayer. We will recite a decade along with our evening prayers. I settle down to complete my Rosary to You. Tea With Donna-Marie: Your cup of tea today...: "Who will you 'have a cup of tea' with today? Will it be someone in your neighborhood who needs a hand with some snow shoveling? Might it be ..."
Tea With Donna-Marie: Don't be shy! Tea With Donna-Marie: Don't be shy! : "Feel free to leave comments here on the blog or email me at DMCOBoyle@aol.com with your questions about living the Catholic faith. I have so..."
Tea With Donna-Marie: "Do you have any ideas how to ignite her catholic ...: "Dear Donna-Marie! What a wonderful idea of this blog! And what a great opportunity for me to ask you for your words of wisdom and experienc..."
Tea With Donna-Marie: "This killing place must be one of the most bazaar...: "I enjoyed your informative article in the issue of the K of C's Columbia magazine. I am familiar with the value of Ultrasound. &..."
About.com is now collecting nominations for the 2011 Catholicism Readers’ Choice Awards. You’re welcome to submit nominations for your favorite Catholic products, features, and services here.. Tea With Donna-Marie: "I find myself wondering if I am doing enough to s...: "Hi Donna-Marie, I recently purchased your Prayer book for Mothers and absolutely love it. I am a 31 year old mother of two, a one yea..."
Papa John Paul the Great! Tea With Donna-Marie: Stay tuned...: "Tea With Donna-Marie is coming up soon! If you have a question for Donna-Marie Cooper O'Boyle about living the Catholic Faith, email her a..."
Pope John Paul II's upcoming beautification! See her whole post here. Pope John Paul II to be beatified on May 1st! Check out the new baby page on my website www.donnacooperoboyle.com . Click on the "Baby photos!" tab on top. If you have read my book Prayerfully Expecting: A Nine Month Novena for Mothers to Be and would like your baby's photo featured on my website, email me at DMCOBoyle@aol.com. Please pass along the word to others you may know who have read Prayerfully Expecting. Too much snow for our dog Sweetpea! We got up this morning to find an awful lot of snow, about 2 feet of it here in the back woods of Connecticut. That's on top of what already laid on the ground. Everywhere we looked was WHITE. 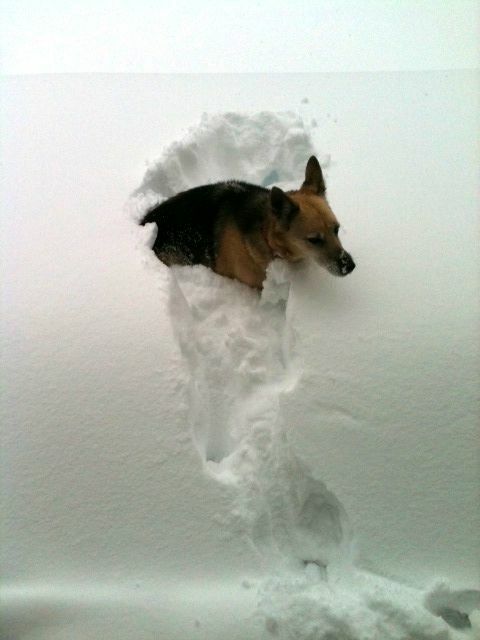 My dog tried to go out this morning and sunk straight into the snow. She quickly turned around and ran back into the house. My husband is out there braving the freezing temperature and shoveling now while I stay warm inside our house, writing away. On my stretching breaks, I throw out some more bird seed to my fine feathered friends. It's almost time for hot chocolate! I'll make it from scratch with dark chocolate - with my secret recipe- yum! Later on, my daughter and I will be baking cookies and I may make a big pot of healthy soup at some point. That's after I get a good chunk of writing work done. I'll be back later to fill you in on a bunch of news. Stay tuned and stay warm! 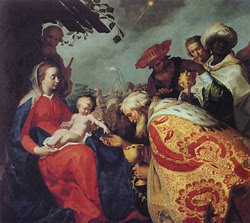 EPIPHANY, which in the original Greek signifies appearance or manifestation, as St. Austin observes, is a festival principally solemnised in honour of the discovery Jesus Christ made of himself to the Magi, or wise men; who, soon after his birth, by a particular inspiration of Almighty God, came to adore him and bring him presents. 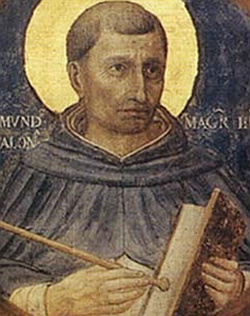 Two other manifestations of our Lord are jointly commemorated on this day in the office of the church: that at his baptism, when the Holy Ghost descended on him in the visible form of a dove, and a voice from heaven was heard at the same time: "This is my beloved Son, in whom I am well pleased." The third manifestation was that of his divine power at the performance of his first miracle, the changing of water into wine, at the marriage at Cana, "by which he manifested his glory, and his disciples believed in him." Upon so many accounts ought this festival to challenge a more than ordinary regard and veneration; but from none more than us Gentiles, who, in the persons of the wise men, our first-fruits and forerunners, were on this day called to the faith and worship of the true God. The call of the Gentiles had been foretold for many ages before in the clearest terms. David and Isaias abound with predictions of this import; the like is found in the other prophets; but their completion was a mercy reserved for the times of the Messiah. It was to him, who was also the consubstantial Son of God, that the eternal Father had made the promise of all "nations for his inheritance"; who being born the spiritual king of the whole world, for the salvation of "all men," would therefore manifest his coming both to those that "were near, and those that were afar off," that is, both to Jew and Gentile. Upon his birth, angels were dispatched ambassadors to the Jews, in the persons of the poor shepherds, and a star was the divine messenger on this important errand to the Gentiles of the East; conformably to Balaam's prophecy, who foretold the coming of the Messias by that sign. 5.0 out of 5 stars Amazing book!!! I am only halfway through this book, but it is a life-changer (or a life-affirmner if you are already on the right path). It makes you really think about the impact you have on the world as a wife and mother (and really, the impact that the whole of your family has on the world and on one another). The chapters will help you solidify your faith in areas that we all struggle in now and then. This is a book I will keep on my shelf forever and will buy to give to friends. At the end of each chapter there are a few questions for review and reflection. It will be interesting to me to reread this book in a few years, including the things I've written, and see how I've grown as a wife and mother. Perhaps husbands should read this book too (maybe even *after* wives have written their answers to the chapter questions). There is a lot of valuable information for the whole family and it is certainly a good discussion-starter. I am in a relationship w/ a man who is divorced (I am widowed), we are in our late 30s and between us, we have seven children. We are planning a marriage in the future and we are very deliberately reading and sharing these kinds of books to help our blended family and to help us grow as a couple. We are both faithful Catholics who have heavy burdens on us as single parents and as future step-parents to be an example of God's love and mercy to our children. 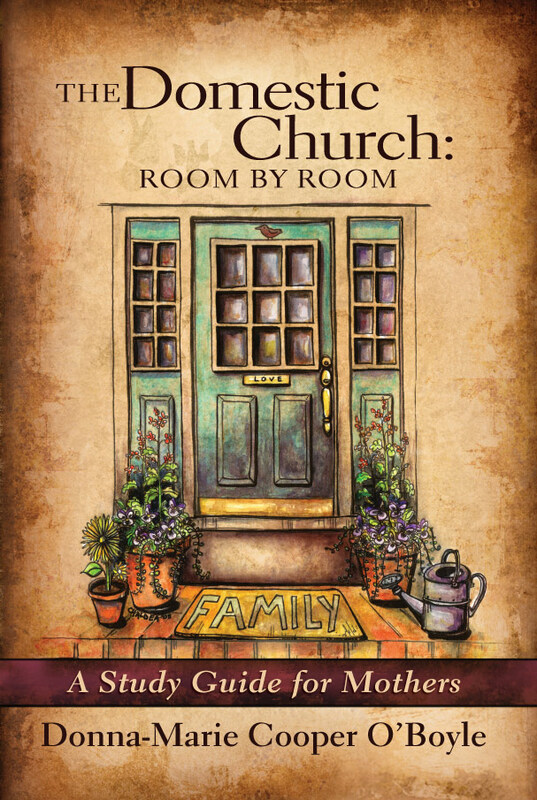 This book is a wonderful tool to help on that journey of getting to the heart of what family means. Thank you very much, "Skyewalker." I pray that you will be richly blessed in your "domestic church." Thank you for taking the time to post a review to Amazon to help others know more about this book.